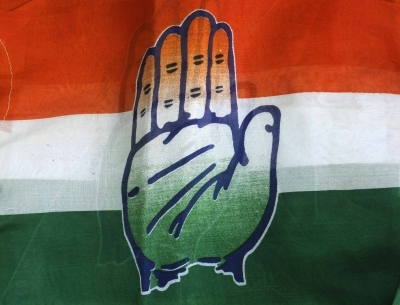 Panaji, Dec 6 (IANS) The BJP-led coalition government in Goa is being run by ailing Chief Minister Manohar Parrikar's personal assistants, state Congress president Girish Chodankar said on Thursday, as the Opposition party launched a statewide Jan Akrosh campaign demanding the resignation of the former Defence Minister on health grounds. "Parrikar's PAs and assistants are running the government and are dictating terms to ministers and other senior government officials. There is a complete failure of the administrative machinery in the state, Chodankar said at a function in North Goa's Pernem sub district where the campaign was launched on Thursday. "The Congress in Goa has been demanding a full time Chief Minister for the last several months. We have met the Governor (Mridula Sinha) on six occasions. The Congress also organised a 'Century Without CM' campaign to protest the 100-day absence of Manohar Parrikar (from office)." Chodankar also alleged large-scale corruption in the functioning of the government, especially conversion of land tracts for commercial development. He returned from New Delhi's All India Institute of Medical Sciences in October 2018 and has not attended any official meeting or function outside his private residence. The Opposition, as well as ruling coalition allies have been demanding the resignation of the Chief Minister, claiming that the administration has come to a standstill due to Parrikar's absence. The Panaji Bench of the Bombay High Court is hearing a petition seeking to know the health status of the chief minister.